As Europe’s leading public funding consultancy, it is our ambition to optimise our client’s income from grants, incentives and public funding. PNO is member of the Limburg Employers Association (Limburgse Werkgevers Vereniging). We are closely connected to regional grantor bodies and investment organisations in Limburg, so that we are able to find a match between your goals and strategy and the funding and financing themes of this region. Founded in 1985, PNO has become Europe’s largest independent public funding advisory. We annually raise over 1 billion euro on behalf of our 4000+ clients and we support 150 regional, national and European projects on a yearly basis. 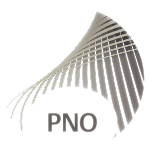 PNO employs 250 staff based in the Netherlands, Germany, Belgium, France, United Kingdom and Italy. Besides tax-deduction and national and European funding for innovation, we offer a wide range of regional funding and financing solutions, as well as innovation advice.